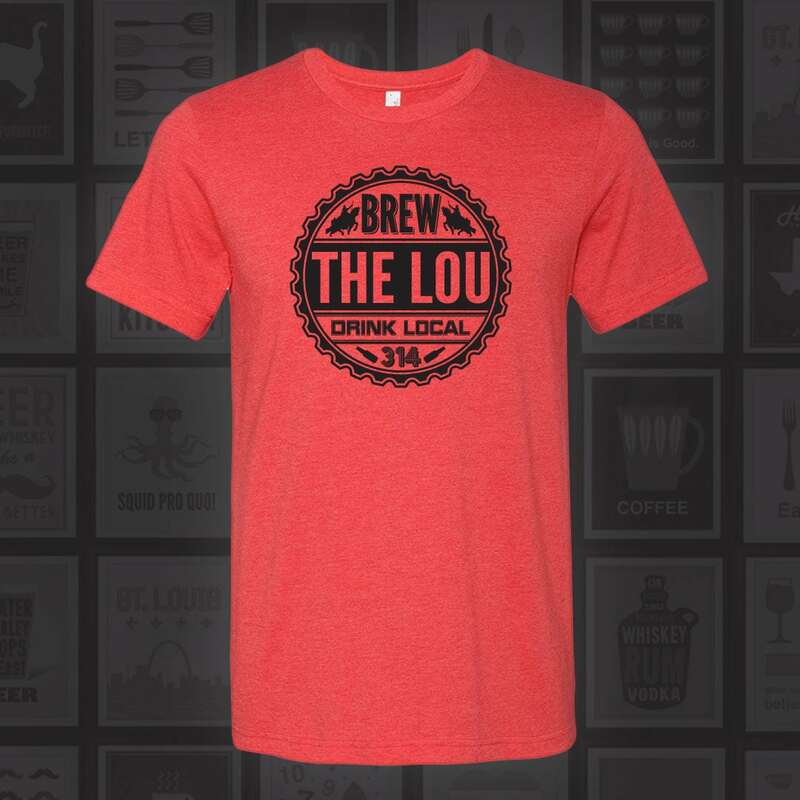 New St. Louis shirts in the shop! Click here to see them all! 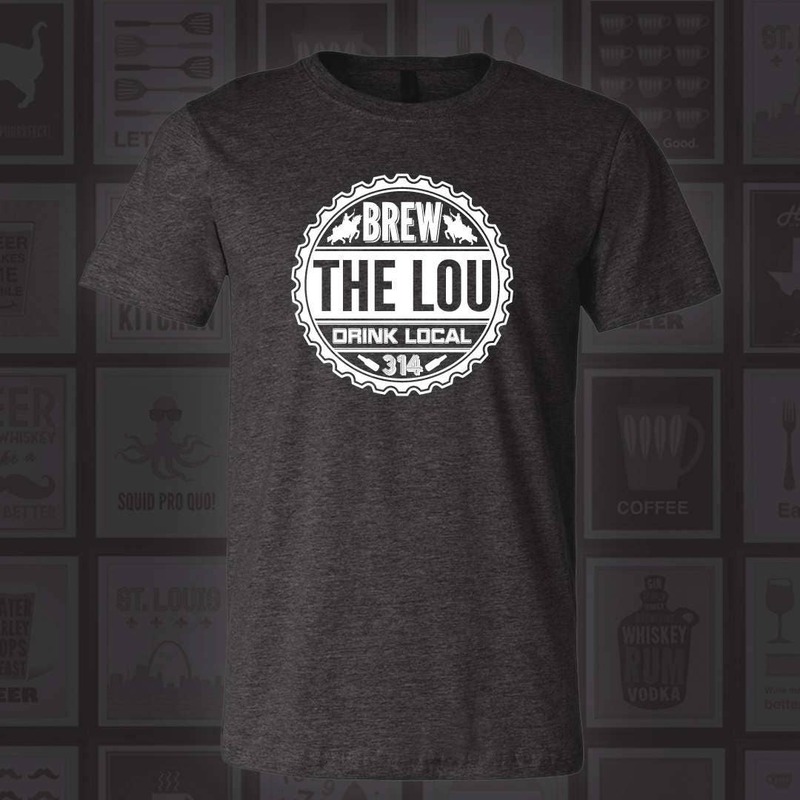 Brew the Lou St. Louis Beer Shirt from Benton Park Prints. 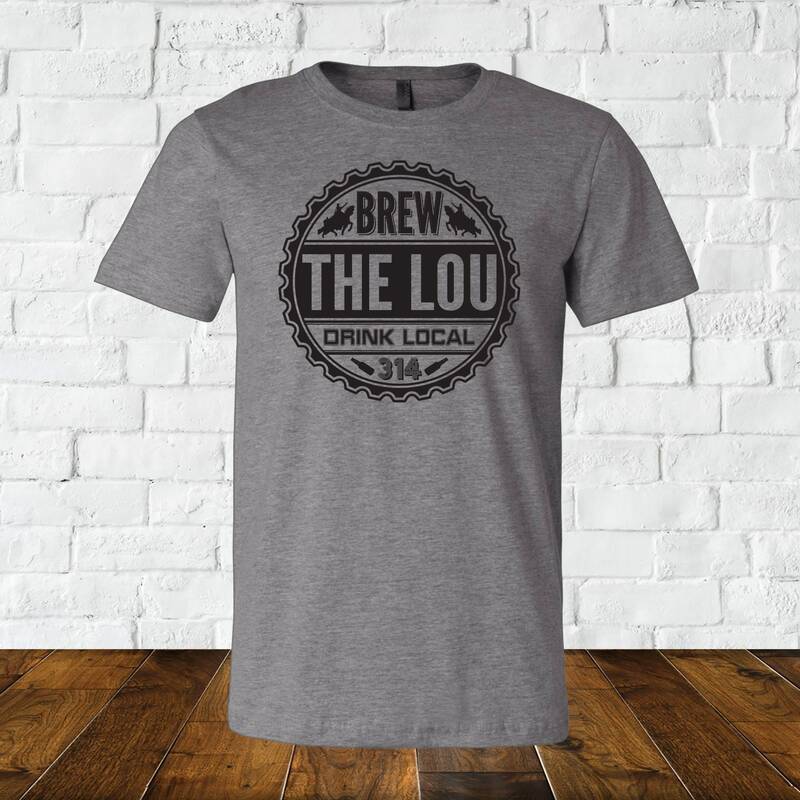 This super soft shirt is available in many shirt colors. 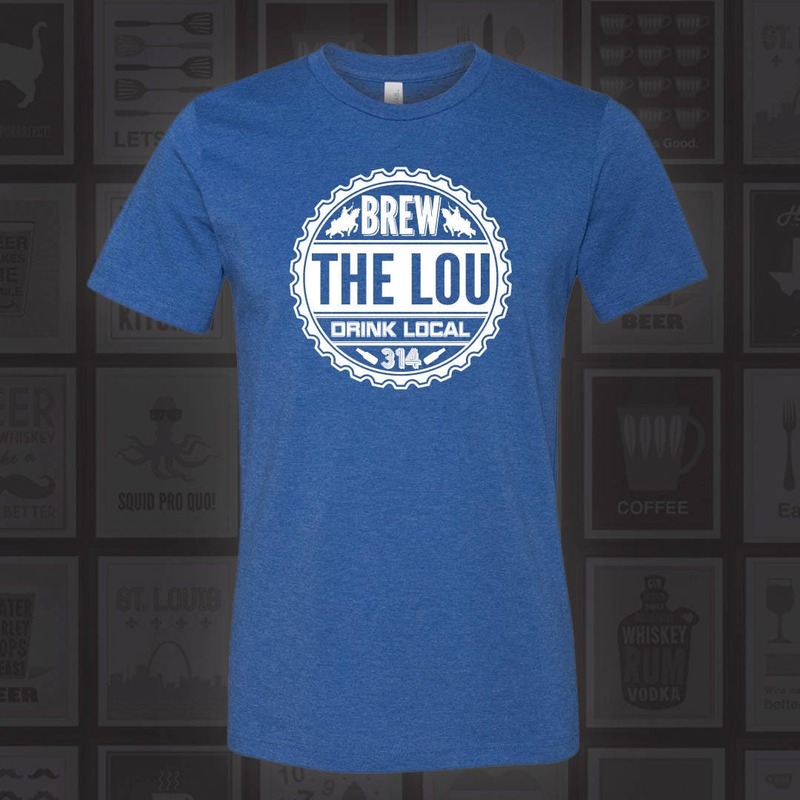 This shirt can either be printed with white or black ink. 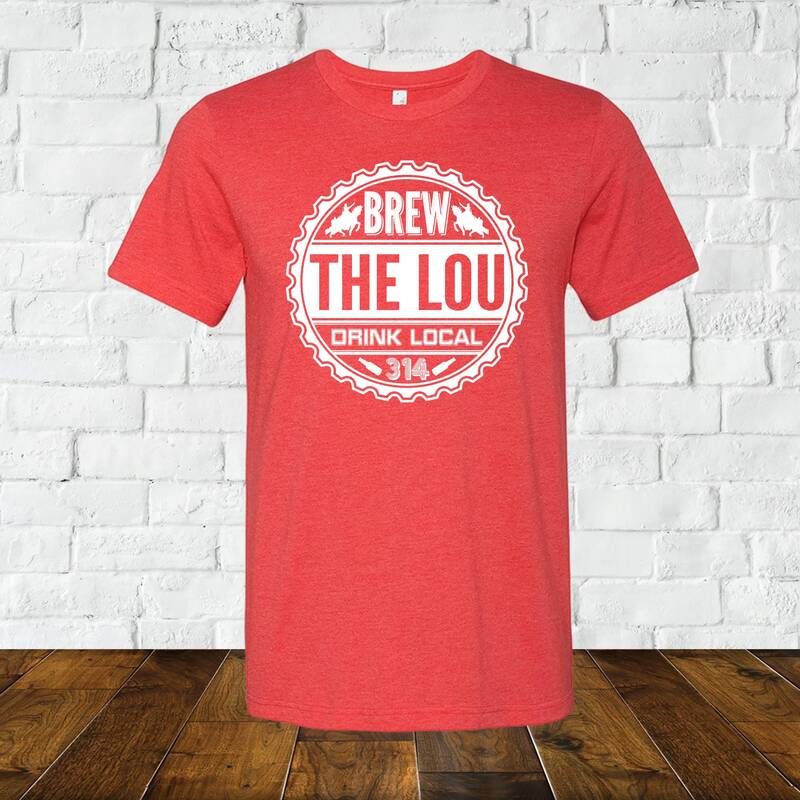 St. Louis craft beer is world famous! Please message us for custom & personalized orders. In many cases the instructions are in individual items notes. If a custom color is not selected for most prints... the example color will ship. In the case of custom text we will wait to send proof until it is received. All prints area available in 5x7, 8x10, 11x14, 16x20, 18x24, 24x26, framed 8x10 with a matte, and framed 11x14 without a matte. 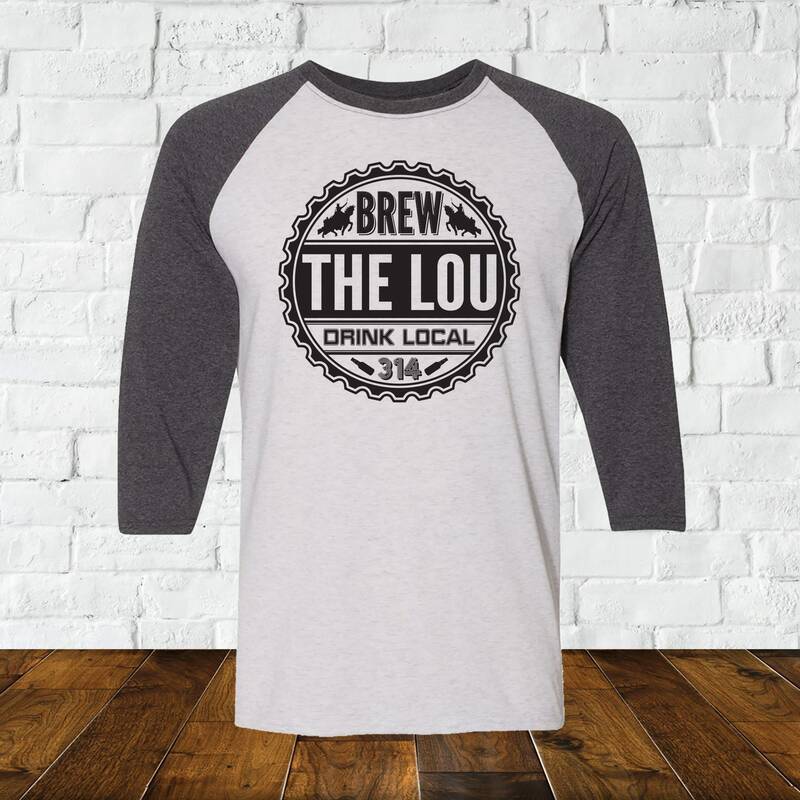 You may request other custom sizes, but you may incur a $5 custom & cutting charge. We offer wholesale to anywhere in the USA. Please message us for details and we can set up your wholesale account. 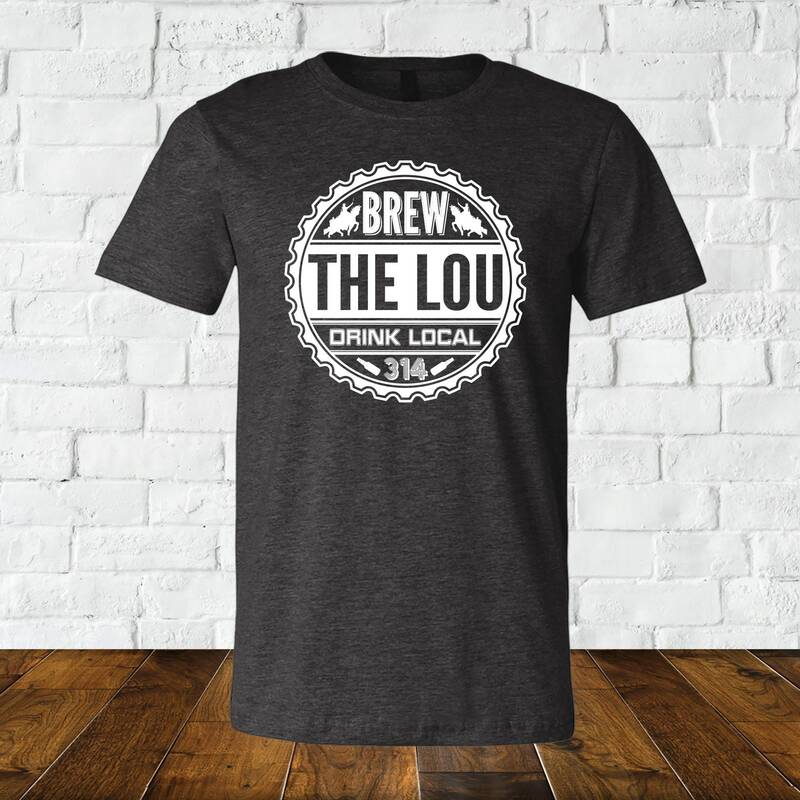 We also offer full customization of any prints for your shop and custom designs unique to your business. How do we pick a color? Most prints have a color chart in the listings thumbnail photos. It's normally the last thumbnail photo. Each individual item has different color specifications. Some allow the background or foreground to be customized. Please reference the listing details you are buying and please message use with any questions. 5x7, 8x10, 11x14 print items are shipped in a flat photo mailer inside a protection sleeve. Prints 16x20 and above are shipped in a photo tube. 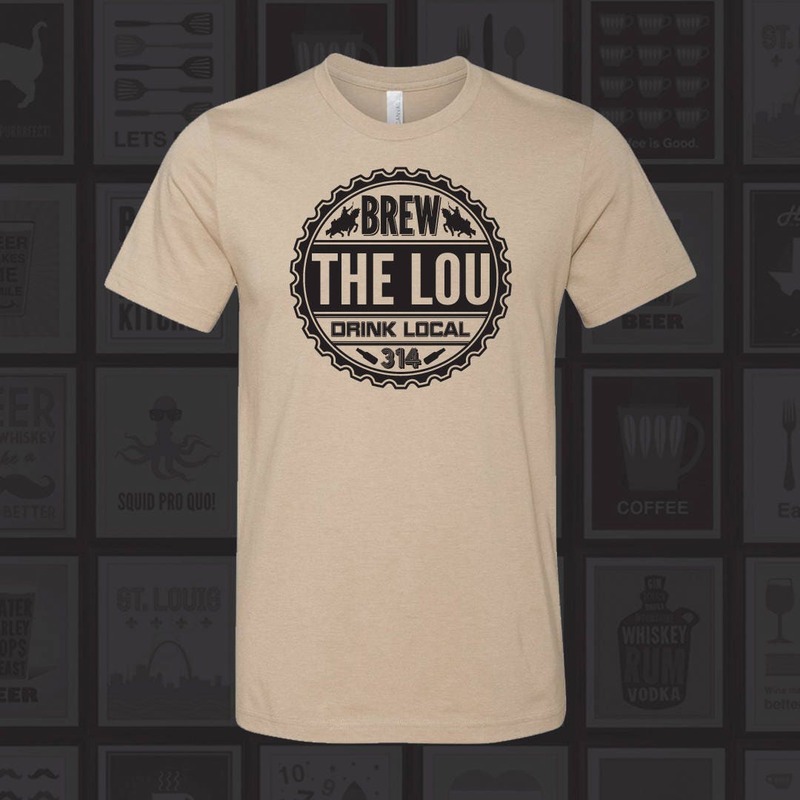 Shirts / Mugs are shipped in packaging for each item. We do not offer gift wrapping, but can offer a note for personalization. Frame your prints! They will look great and last many years on your walls. Why don't your accept returns, exchanges, or cancellations? The printing process for our art prints start when your order is placed. 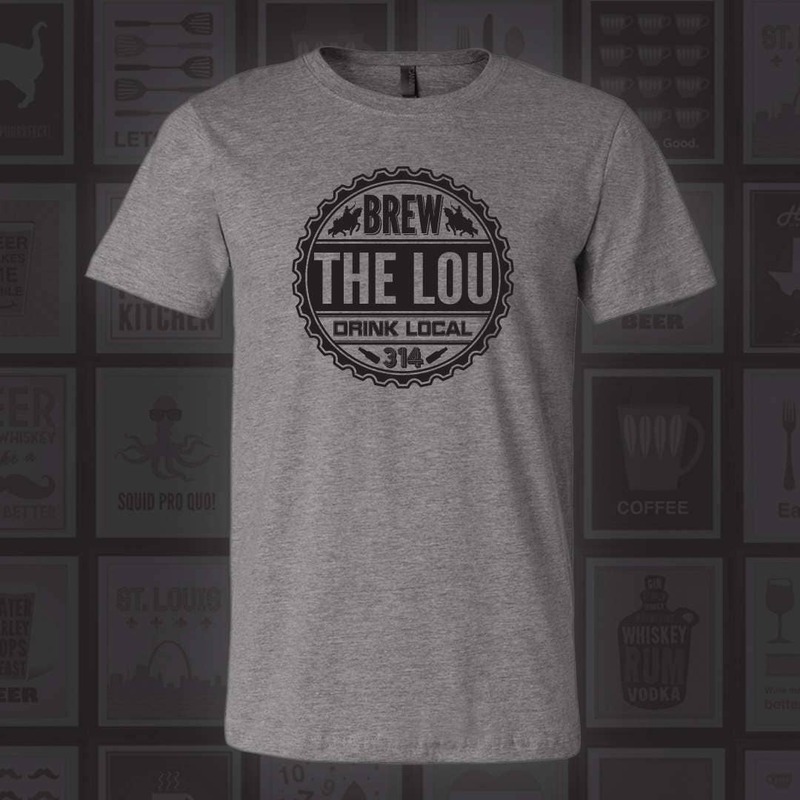 Once an order is placed we design, print, package your order. We offer wholesale options for small and large shops. Please message us for details.